Vegetarian, Gluten Free and takes 5 minutes. Just toss into your blender and blend well. One of the best ways to jump-start your metabolism is by consuming protein soon after waking up. What’s quick and easy? A smoothie. This smoothie offers protein, omega 3’s, potassium and of course caffeine, so now you can have your protein shake, your shot of morning joe and potassium for your muscles and omega 3’s for your heart and brain all in one cup. 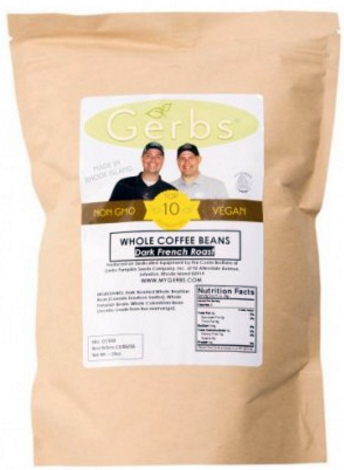 Get the French Roast Coffee & Chia Seeds here at Gerbs! Gerbs Allergy Friendly Foods is at Gerbs Allergy Friendly Foods.